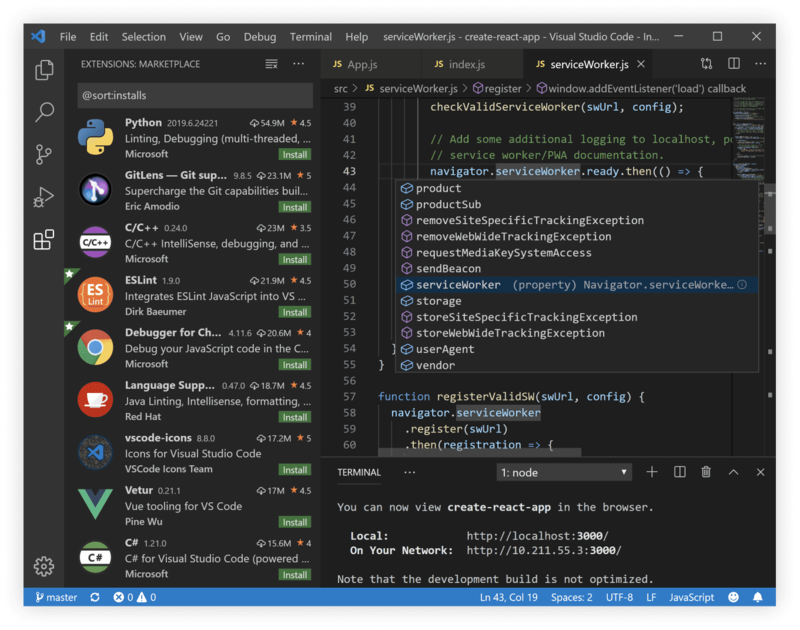 Here are suggestions for using VSC (Visual Studio Code) for developing in CFML. What do you want to do with VSC? You can approach this different ways. It is pretty nice to have the command prompt running right inside your IDE. Pressing CTRL +` will show and/or hide your terminal. This will let you run Commandbox directly inside your terminal. Go to File > Preferences > Settings and search for shell.windows. Hover over the item in DEFAULT SETTINGS and you will see an edit pencil. Click on that and it will copy the values over to USER SETTINGS. (NOTE: You can also set stuff up in WORKSPACE SETTINGS for different projects. Now set the location of commandbox on your system like we did in our system in the example below. When adding a path, follow the rules for adding platform specific path seperators. Install Shell Launcher and reload the IDE. ​Shell Launcher Easily launch multiple shell configurations in the terminal. Now open your user settings like is shown in the Commandbox only section just above. Add the following to your USER SETTINGS. If you have commandbox mapped to a path you can of course just call box like you would from any terminal and it will load right up for you. Just use any terminal in VSC that would load box outside VSC and it will run the same. ​Git Lens This will take your git IDE to new levels. P.S. A couple of other nice plugins. ​TODO Highlight Add TODO, FIXME or other comments to code and find quickly with this extension. ​Great Icons Because it is more fun, nuff said!